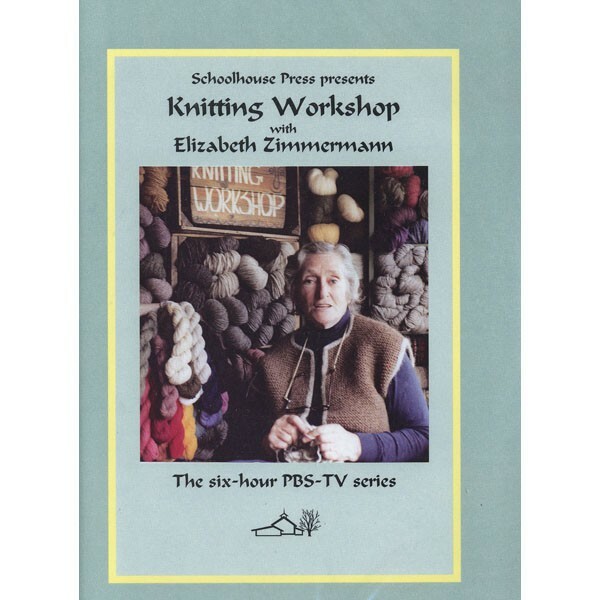 A companion to her book of the same title, Elizabeth Zimmermann's Knitting Workshop is a collection of 12 lessons taking the viewer step by step from beginnings (casting on, increasing, decreasing and color work) to Master classes (aran and fair isle sweaters, shoulder shapings, steeks and more). Elizabeth is a brilliant teacher - relaxed, conversational and elucidating. Includes an interview with Meg Swansen about EZ. 6 hours. DVD.